The Youth Empowerment Project (YEP) was launched as a Non Profit Organization (NPO) in 2005. They opened their first center in May 2017 and began creating Hope and Opportunities for youth ages 8 through 16 years old. Children attend the YEP centre daily after school and on Saturdays with no enrollment fees. During school vacation, our YEPpies continue to enjoy day long programs. Their caring and committed staff and volunteers provide programs that assist and enrich children in Homework, Health and Wellness, S.T.E.M., Sports, Cultural and Environmental Awareness, Arts, Culinary and Community service. YEP continues to be the only free year round after school/out-of-time school program for children in the BVI. Their staff also offers support to families and other NPOs in the form of training, modeling of good practice, and sharing of resources. Family Support Network (FSN) BVI is a non-profit, non-governmental organization whose primary aim is to aid individuals, couples and families affected by domestic violence. 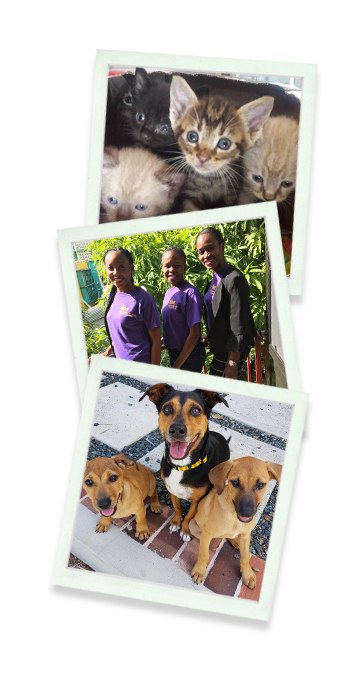 PAW (Promoting Animal Welfare) is a not-for-profit organization established in February 2014 on Tortola, BVI by a group of animal lovers to help improve the living conditions for as many animals as possible within the BVI. Their current focus is on cats and dogs with the aim of improving the quality of their lives. Each animal that is selected for the program is tested for common diseases, vaccinated, and spayed or neutered. This process therefore not only improves the animal’s individual health, it reduces the chances of spreading disease while humanely decreasing the Island’s stray population.